The Nidra is a 5-piece set which includes a metal box, 2 candle holders and two vases. 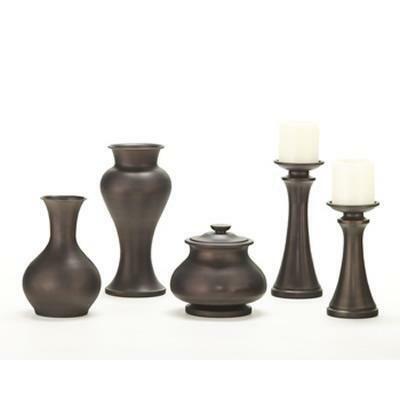 These traditional-looking pieces are brown with a matte finish. Simcoe Home Furniture is located in Barrie & Bradford and proudly serving the province of Ontario. We showcase a large variety of living rooms, dining rooms, mattresses, bedrooms, kids bedrooms, and more. We carry major top quality brands such as Ashley, Mazin Furniture, Dreamstar, Benchcraft, Millennium, Renwil, Signature, Fashion Bed Group, Homelegance, and more. Come visit our showroom today! Our Knowledgeable staff will be happy to offer you a great service. © 2019 Simcoe Home Furniture All Right Reserved.